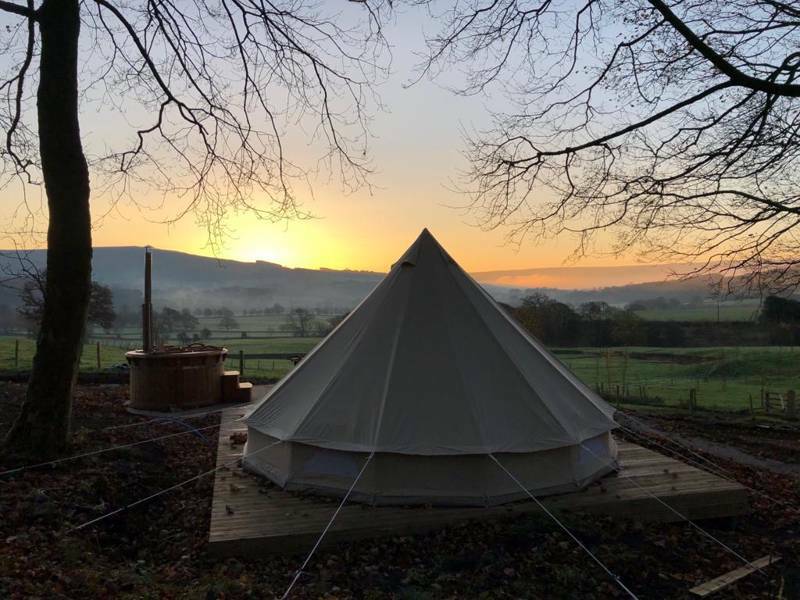 We are very excited to announce the arrival of our luxury Bell Tents, which are set in a stunning location on the woodland edge with uninterrupted views of the beautiful Yorkshire Dales countryside. Our 2 bell tents are designed with luxury in mind; they have been uniquely furnished and accessorised. Each has a hand crafted, king size driftwood bed with duvet, pillows, cushions and throws. A small sink with fresh drinking water is provided and each tent can sleep up to a family of 4, there are futons for the kids. They are fully equipped with bedding, towels, bedside tables with lamps, coffee table, blanket box, crockery, cutlery, glasses, cups and cooking utensils. All you need to bring is your imagination and a sense of adventure! Each tent is equipped with a wood burning stove (1 bag of wood included) for cooking and to keep it cosy throughout the night. The interior is decorated with fairy lights and we provide hot water bottles for extra snugliness! They share a private shower and toilet pod, which is located nearby and also has an sink outside for pot washing. Minimum 2 night stays on normal week days and weekends. 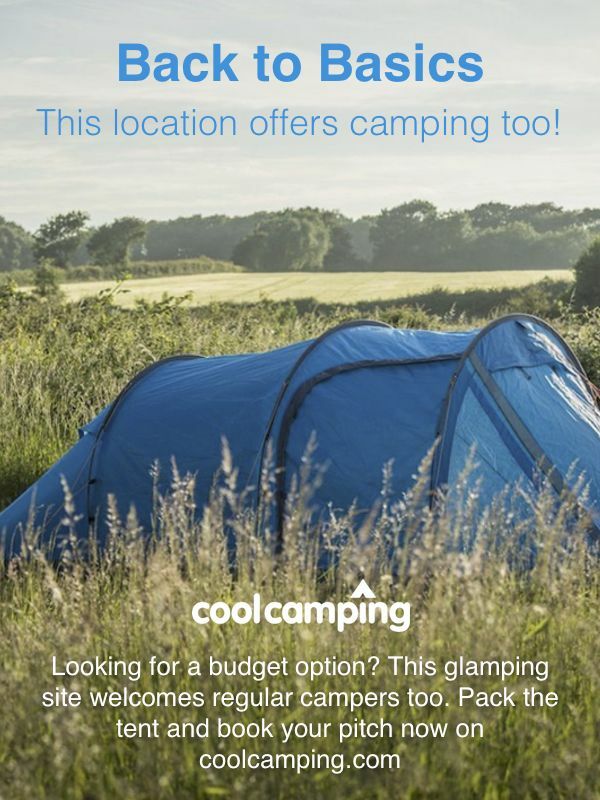 Minimum 3 night-stay on Bank Holiday weekends and school holiday weekends. To keep the bell tents looking great we do not allow dogs.